Yesterday, I posted about the results of Ralph's annual physical examination and that he was diagnosed with scoliosis. Today, I am sharing about my medical results. Well, it did not look good as well. My urinalysis results showed that, once again, I am having proteinuria. 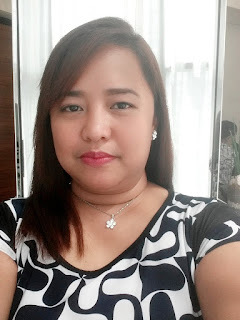 Exactly a year ago, I have also blogged about an incident when I underwent a creatinine test and a kidney ultrasound after my urinalysis showed a presence of protein. The creatinine test and kidney ultrasound fortunately showed that my kidneys were normal though. I did some research and found out that protein leaking in the urine is expected when one is having an infection. That time, I was having fever due to urinary tract infection. This time, there's no fever to correlate the presence of protein in my urine. I even got a +2 when a normal protein leak in the urine should not even register in the scale. I am advised to increase my daily water intake and to have a repeat urinalysis that I am planning to have next weekend. I stopped taking my prescribed weight loss pills and replaced it with CranUTI at the moment. I am taking so many medications daily that it makes me a little confused. I am confident that this is just another one of my expected diabetes complications. I am just annoyed because I am having an increased amount of hair fall at the moment because of this.